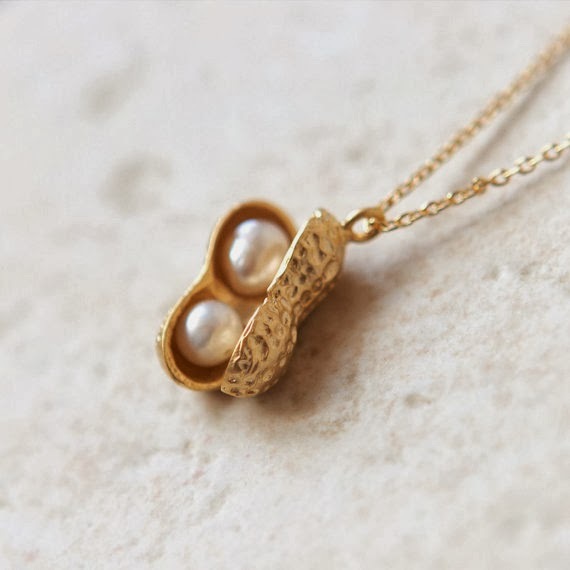 These necklaces from Strangely Yours are ingenious. The polaroid and bow and arrow ones are my favorites of the bunch. I can't say that the heart cutout sweaters from Bglorified Boutique would be practical for Midwest winters, but I still love them. One would be perfect for my California winters back home, don't you think? 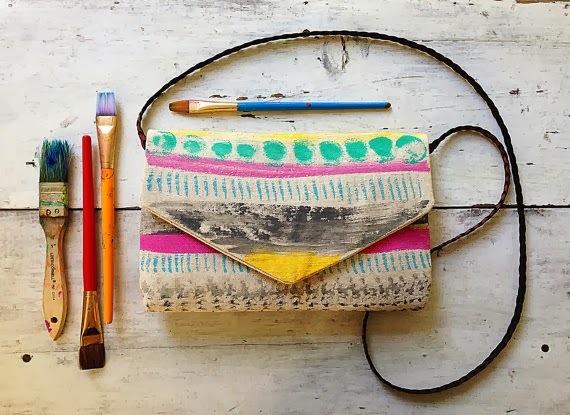 The bags from My A La Mode Boutique are literally works of art. Talk about unique. I think this knit yellow dress from Linda Dileva would be such a cute layering piece for fall. 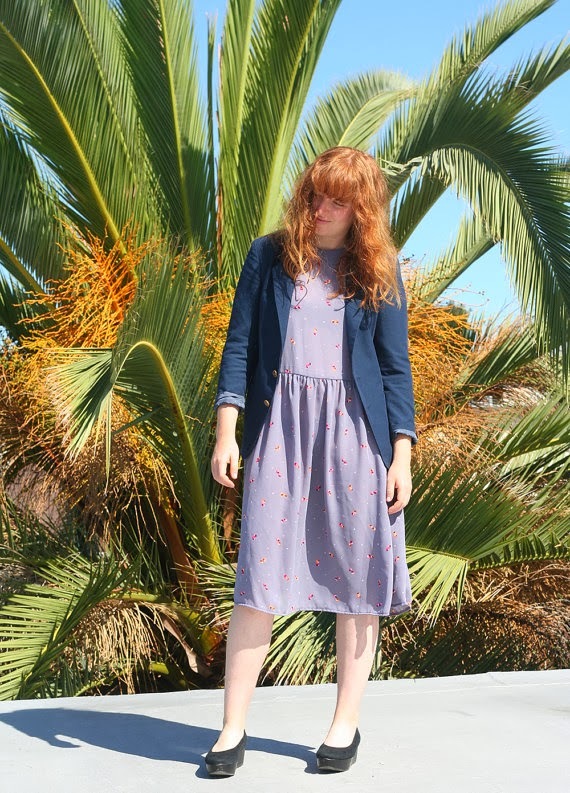 I adore this '70s lavender dress from Heart City, especially with a blazer. The jewelry from Laonato is so simple and fun (not to mention affordable). I'm loving this peanut one, but I'm also partial to the bat and fox ones as well. Lastly, we all know I have a thing for little white dresses. This '60s lace one from Ella Sven is gorgeous. you have fantastic etsy taste :) love the necklaces!! that polaroid necklace is fantastic! You have a great eye, Elana. I want literally everything in this post. So cute! I'm loving those necklaces and the heart back sweater! Such cute picks! 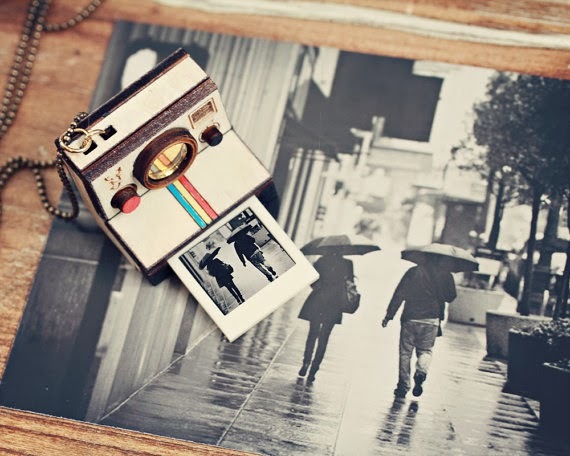 I especially love the polaroid and arrow necklaces. You definitely have a good eye! 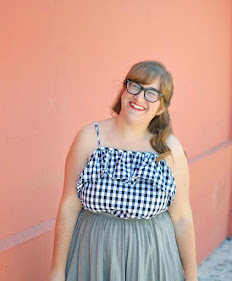 oo la la I love the Heart City dress (and how she dressed it up), not to mention the artsy purse. I always look forward to these posts, you find SUCH amazing stores! so so many cute things. 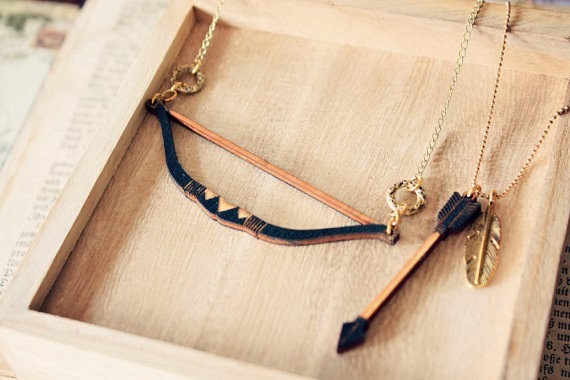 i can never pic a fav, but i esp love the super unique purse and the bow and arrow necklace, which i also thing is really affordable! At first I thought that it was a real Polaroid camera in the first picture, which is something that's been on my wishlist for a while. I love the heart cutout sweater, but I could never buy something that I can't wear a bra with. Perhaps I could layer a tank underneath? What a great roundup! I'm loving that crochet dress, and those necklaces! Be still my beating heart!